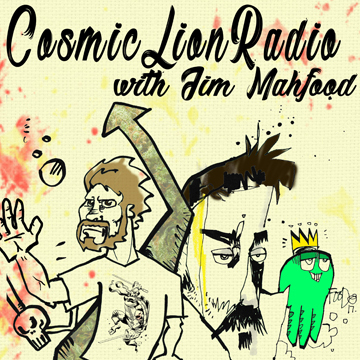 Jim Mahfood is one of comics most gonzo voices and it’s amazing to have him back on the show almost 4 years to the day after our first chat. His new comic Grrl Scouts: Magic Socks from Image comics will be released May 17th in all Comic Stores, so you gotta check it out. This ep we delve deep into what brought Jim back to his creation after 20+ years and about music and it’s effect on life. We’ll also wax intellectual about out youths, TMNT (obviously) the importance of Brick and Mortar and how cool it would be to chill with the Grrl Scouts in VR. Also, this super heady edition was taped on 4/20 so you know it gets to the deepness right quick. Featuring killer music choices by Mahfood and shout outs to the Beat Bee Sessions and his partner Jane Dope. So come with me into the Bee Hive!! !